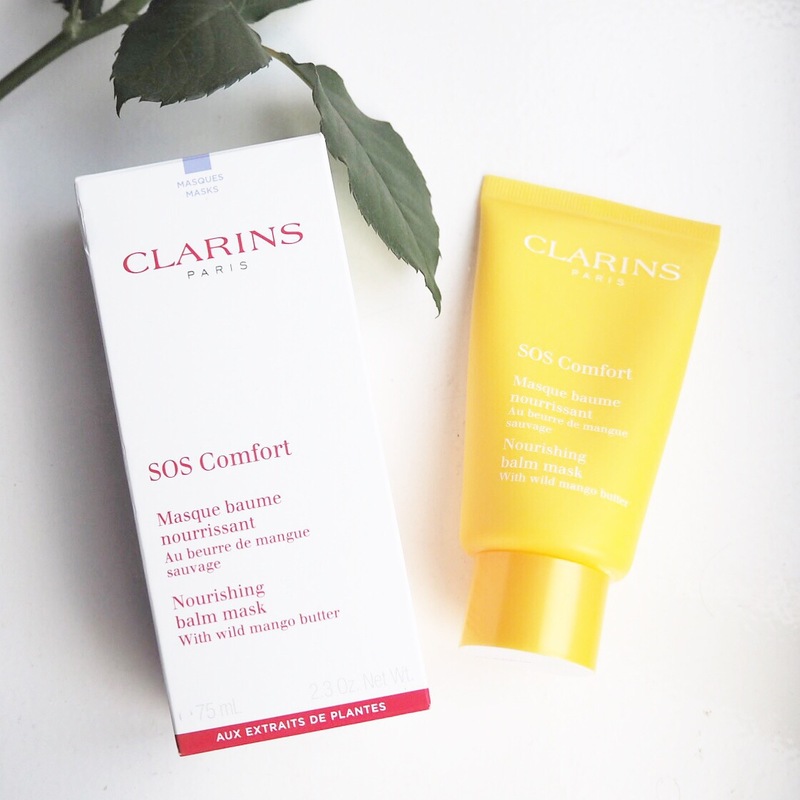 A few months back, the lovely ladies in Clarins sent me one of their new SOS Comfort Face Masks to try out and it really couldn’t have come at a better time. 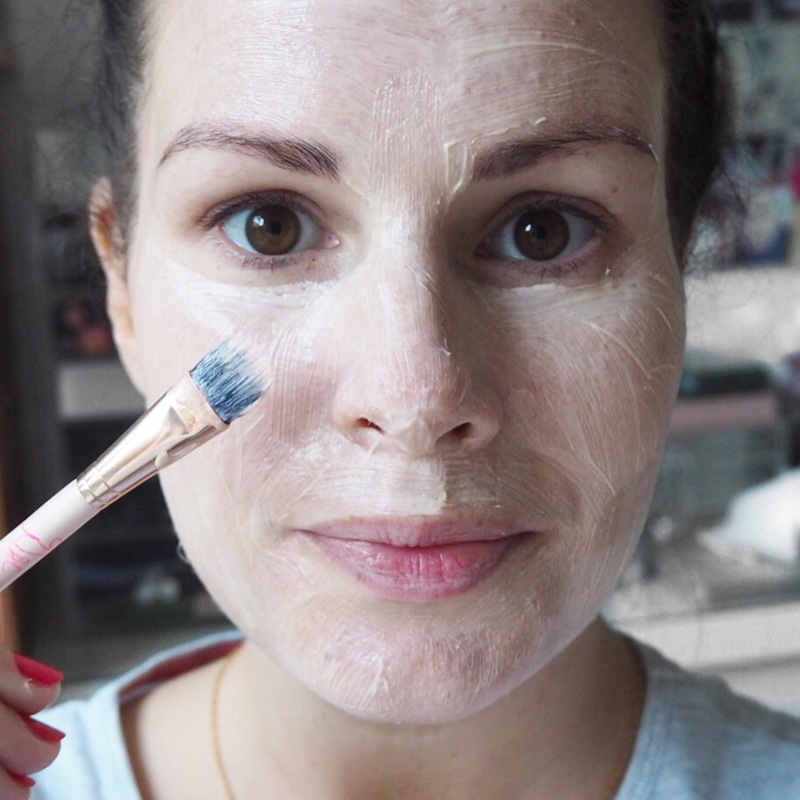 If you caught my little announcement post the other day, you’ll know that I’m expecting my first baby, and as a result, my hormones have been playing havoc with my skin. I had to stop using a lot of my skincare products when I found out I was pregnant as many of them containe active ingredients that aren’t recommended for use in pregnancy. 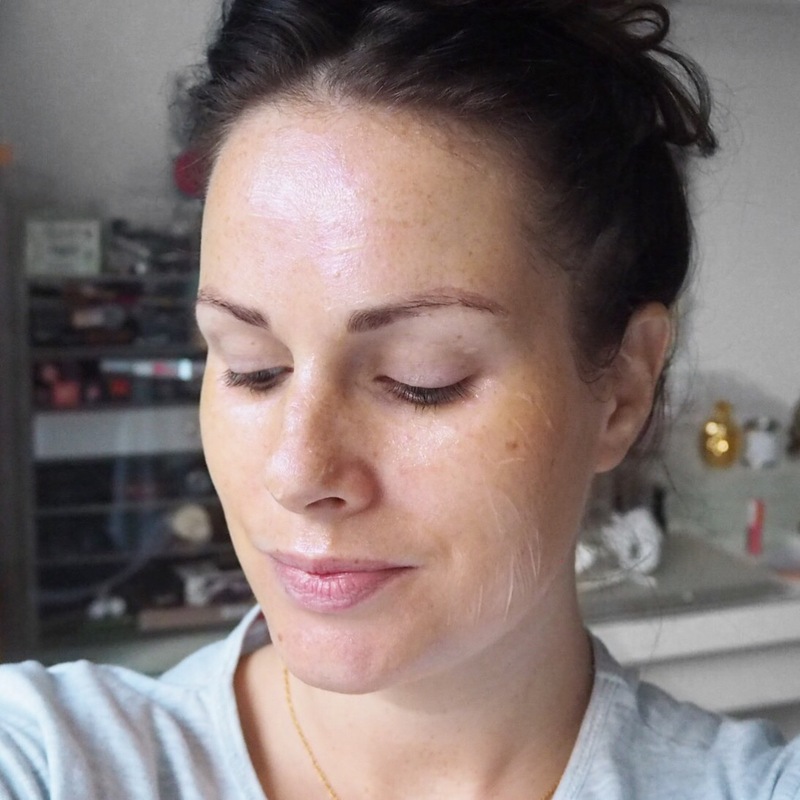 That has been a learning exercise in itself, and I’ve found myself trying out so many different products over the past four months in an attempt to find some that will help my troubled skin. 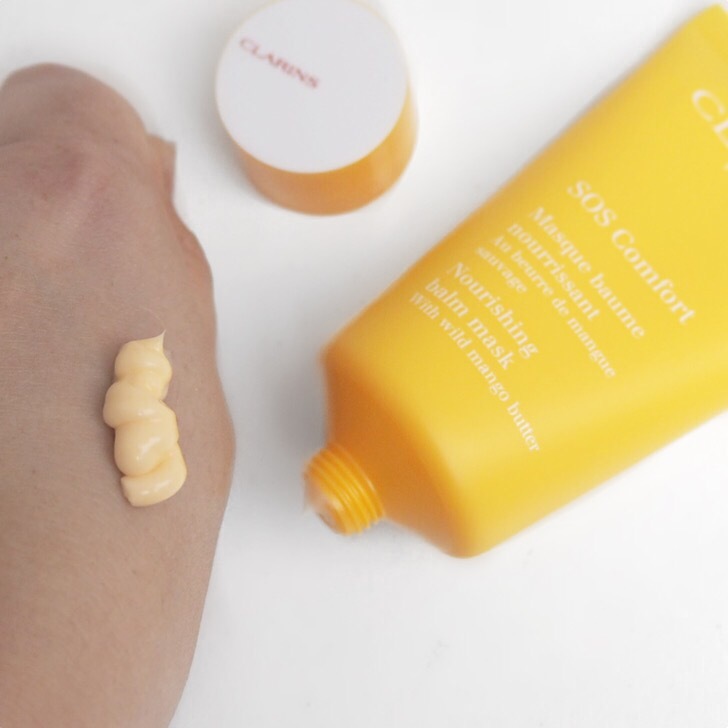 Thankfully, this little gem of a face mask from Clarins has been a godsend and has really helped to keep my skin soft. I’m sure it’s a very common occurance in pregnancy, but my skin has literally been like sandpaper for the past few months; it has been dry, lumpy, a bit flakey and very, very dull. I’m lucky in that I have quite good skin generally so I found it tough trying to find products for a different skin type than I’m used to. 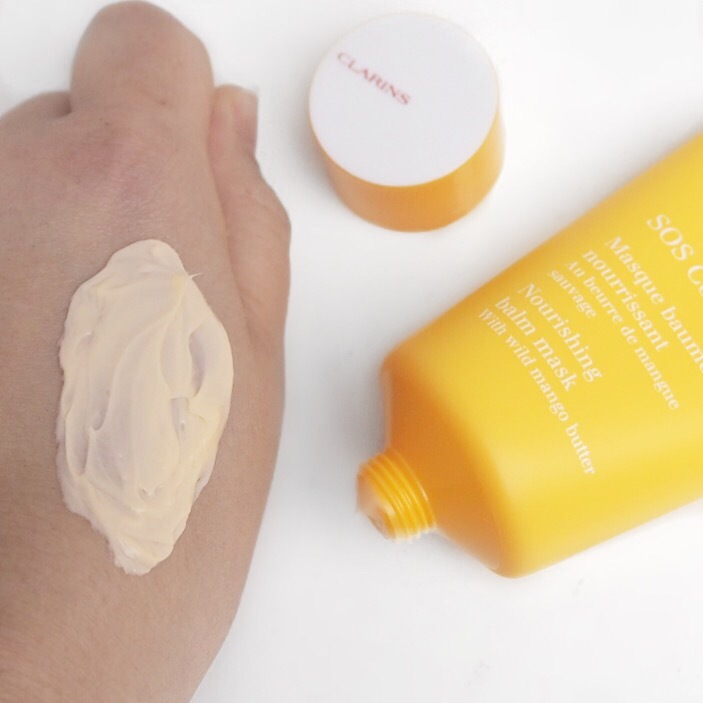 The mask itself is cream based, so it doesn’t have the clay or gel formula you get with a lot of masks, but is very easy to apply and spreads evenly over your skin. I liberally apply it using a makeup brush to make sure I cover all the problem areas and leave it to sit for about a half an hour to an hour, so that it can work its magic. 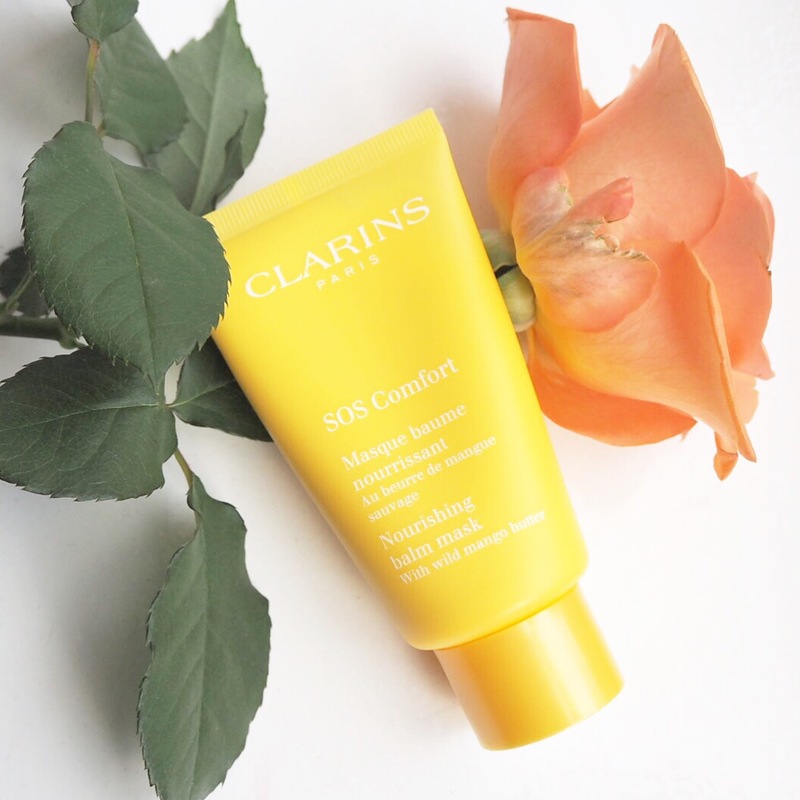 Unlike some masks, the creamy formula makes this so comfortable to wear and I find it so refreshing on my skin, particularly on days when it is extra dry. 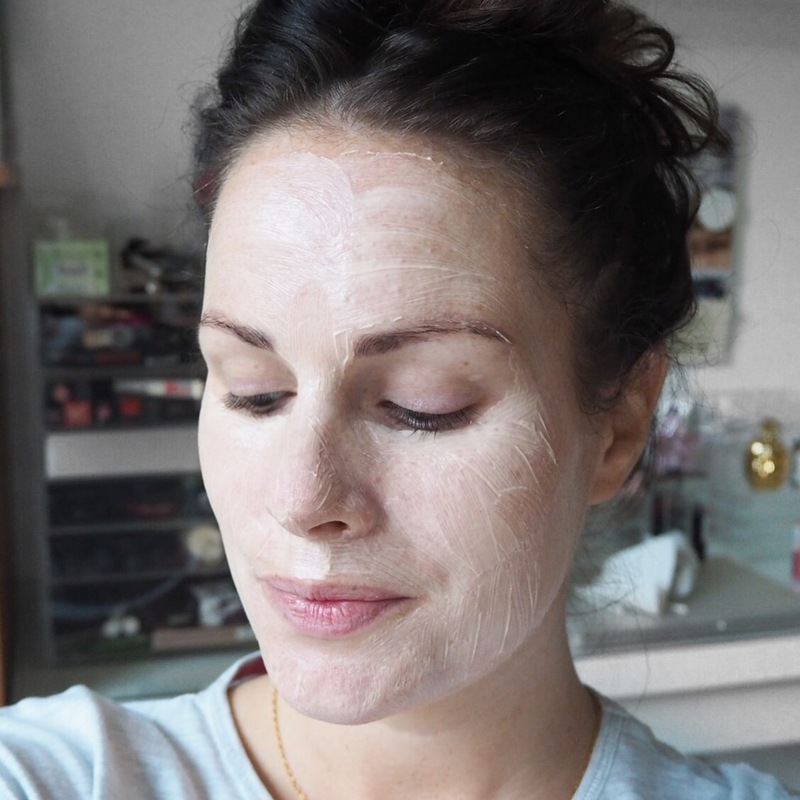 I tended to get dull skin every now and then even before I was pregnant, but it has been especially dull lately and this mask has really helped to inject some life back into it. 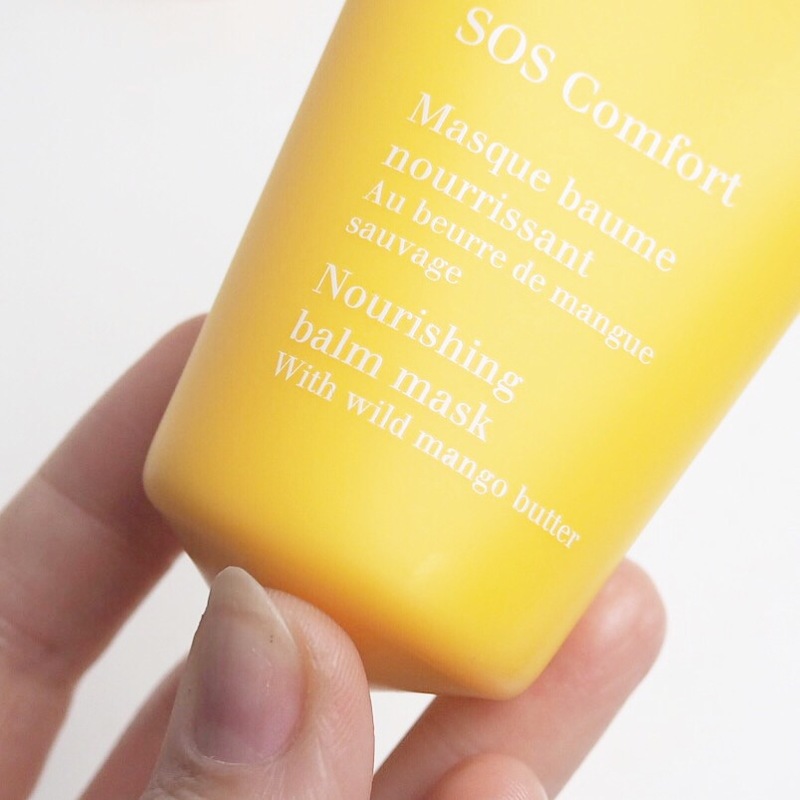 The hero ingredient in this mask is Mango butter which is rich in fatty acids and is known for re-hydrating the skin and protecting it from dehydration. While sometimes claims like this can be a little far fetched, for me, this mask definitely lives up to the claims because it really works. 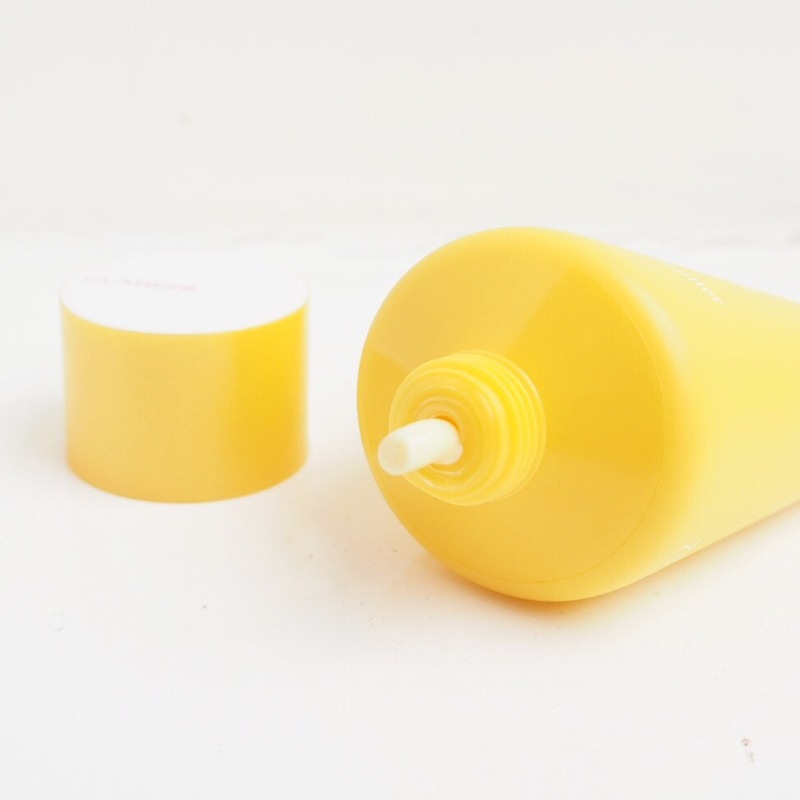 It made my skin less dry, much softer and smoother, and definitely more hydrated, so it’s a winning product all round for me! I love it and am already half way through the tube. It’s on the pricer side at €38, but in comparison to some skincare products on the market, I think this is a good price point. So if your skin is in need of some TLC, and you don’t mind splurging a little, then this is definitely worth the investment. 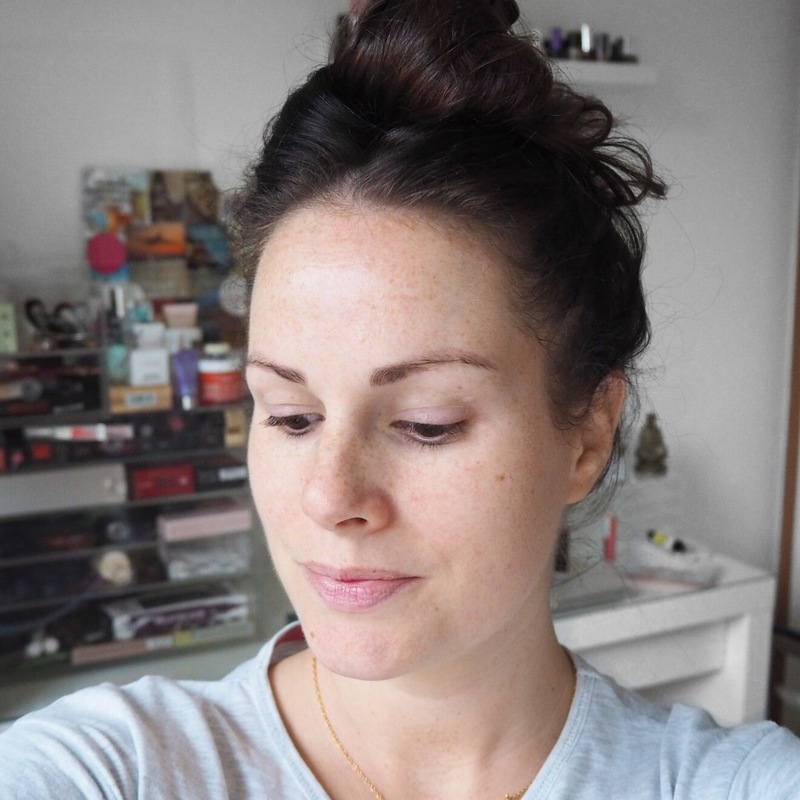 Pregnancy skin is a whole new world for me so I’ll be sharing lots more posts with you over the coming months on what I’m using. Some things I’ve tried haven’t been great, but I’ve discovered a few nice products like this one that really have been my saving grace so I’ll be sure to tell you all about them. In the meantime, if you have any tips for me then please send them my way! I need all the help I can get right now and would love to hear your thoughts. Aw thank you! It’s a great mask so I had to do a review of it, I like it so much.